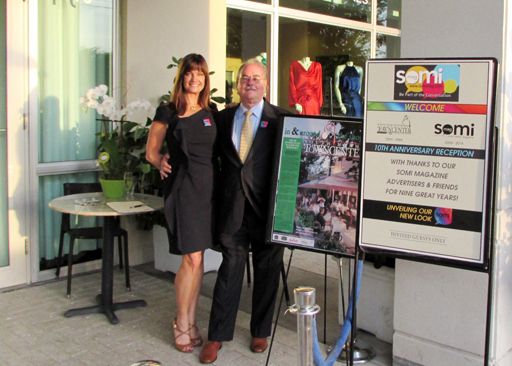 Recently, Somi Magazine marked its tenth year as an upscale publication devoted to the promotion of South Miami and the local and surrounding businesses. 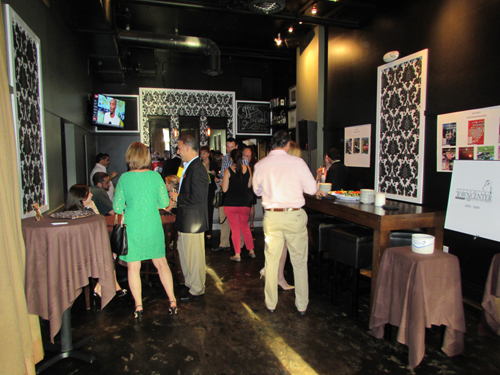 Sidebar at Town was the venue for about 80 people from the business community, Chamber South, and city government who came to help celebrate the magazine’s success. 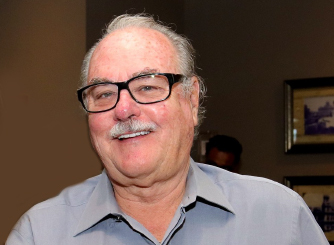 John Edward Smith, publisher, creative director and visionary behind the magazine, brought all his skills as a promotional and marketing professional to bear on the ten-year milestone. 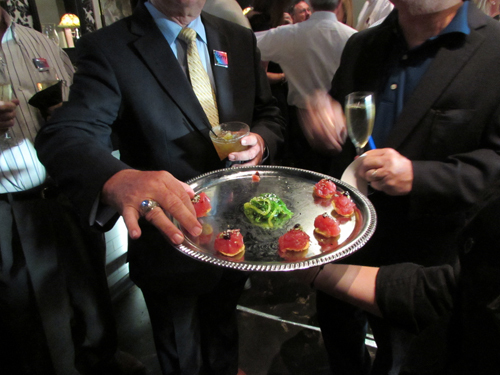 Champagne flowed, plates of delicious hors d’oeuvre from Town Kitchen & Bar kept arriving, premium rum drinks from Tiburon rum from Belize and Gosling’s rum were served. Mojito-scented candles from Porter Spa added a lovely aroma and warm lighting accents around the room. The evening ended on a sweet note with artisanal dark chocolate truffles from Town & Cocoa. 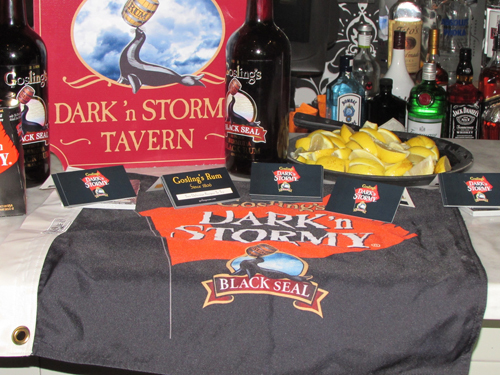 A display of 58 past magazine covers graced the walls, and guests were asked to choose their favorite for the prize of Tiburon rum. Five entries from the Somi readers survey were announced and presented with prizes from Garden Gate, Splitsville, Town Kitchen & Bar, Fox’s, and ROK:BRGR. 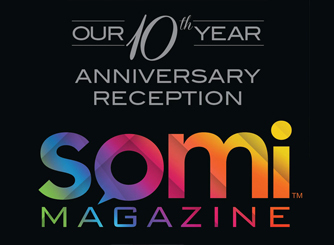 The new SOMI Magazine logo, conceived by Smith, was unveiled and editions of the newly formatted 2015-2016 “Year of Fun” magazine were distributed. 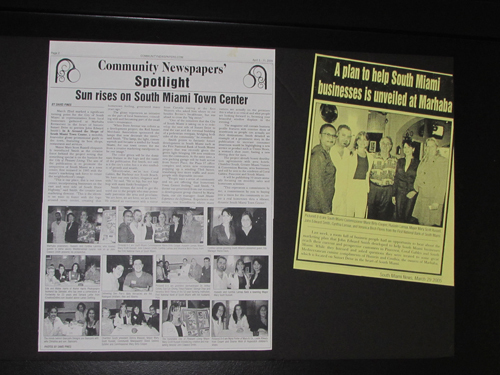 In 2005, what began as Smith’s plan to print a four-page, four-color publication called In & Around the Shops of South Miami Town Center designed to tout South Miami’s downtown businesses morphed into an eight-page magazine from the first issue. Smith, once focused on his efforts promoting tours to Italy to savor the famous white truffle from the country’s Piedmont region and other marketing pursuits, turned his attention to the fledgling magazine. 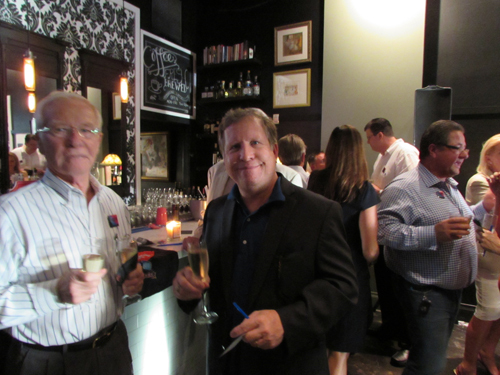 “I never really thought of myself as a publisher when I started this. I understood myself chiefly as a creative force,” said Smith. 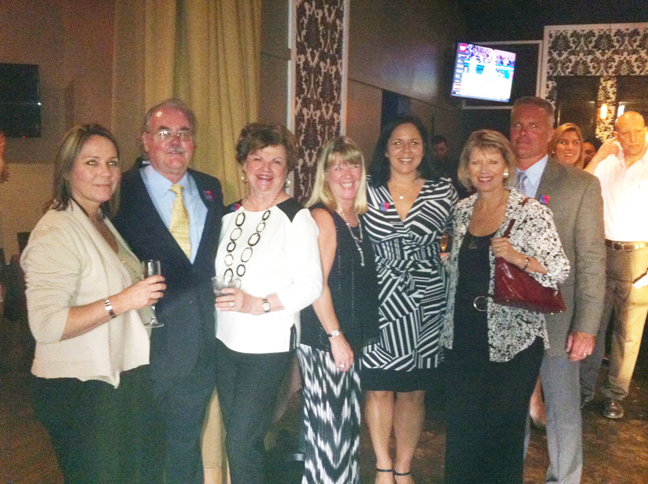 Mari Colina, John Edward Smith, Carol Williamson, Karla Cooper, Margaret Sotham, Katy Sorenson, John Sotham. Smith was able to establish a brand for the city’s downtown by renaming it the ‘Town Center,’ thus avoiding the rather pedestrian “business district” used by others. The public had something to rally around and think of as uniquely South Miami. The magazine never wavered from its initial mission to promote the area, even though the look, name and amount of content would change over the years. Along the way, the Somi Guide directory of retail, restaurants and services in the town center became a separate publication. Advertisers make it possible for the magazine to be available free-of-charge to its many readers. “Thanks to our ever-expanding core of advertisers, we have been able to remain in print at a time when so many magazines have had to close shop. The magazine (which is available online, too) continues to grow because it is well-received and appreciated,” said Smith. 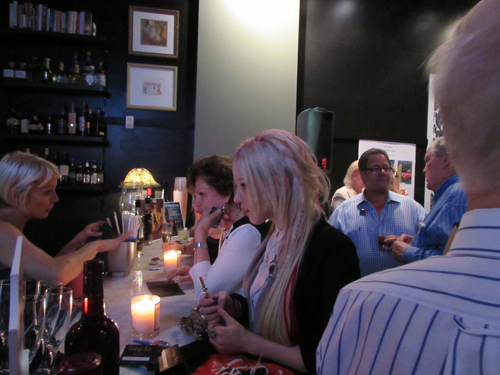 Party-goers were eager to share their thoughts about the magazine. 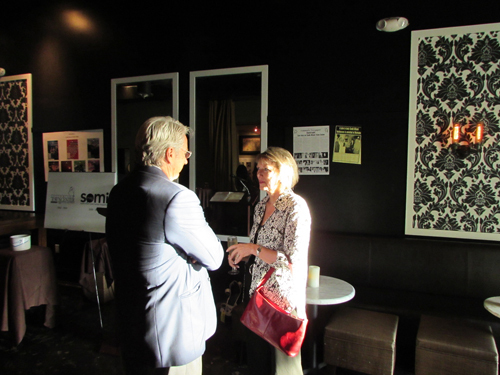 “The magazine has the pulse of the community, and it contributes to the coolness of South Miami’s downtown,” said Katy Sorensen, past County Commissioner and president and CEO of the Good Government Initiative. “I like the covers, and it stands out on the newsstand,” said Dennis Deblois, Chamber South board member and co-chair of government affairs. 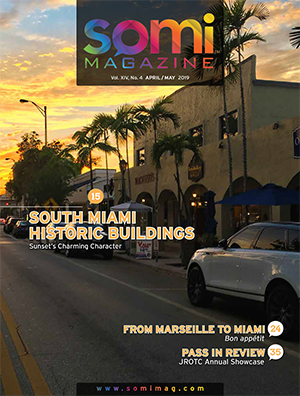 After remarks by Mary Scott Russell, past Mayor of South Miami and President of Chamber South (“John Edward never stops giving his time to the community and the magazine.”), Smith thanked the people who helped make the magazine possible from advertisers, to friends, and staff. 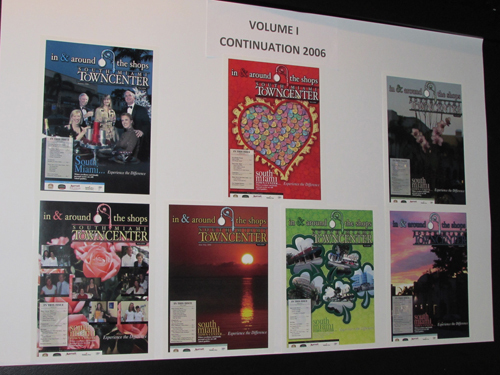 Indeed it takes a lot to make a magazine successful: from the creative mind of John Edward Smith, to the participation by the advertisers, to the efforts of the staff and contributing writers, and to the positive reception by the readership. 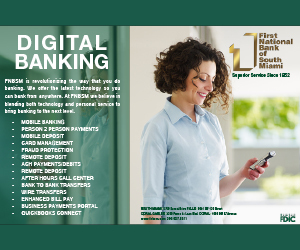 Look for the latest issue at businesses and other local venues.